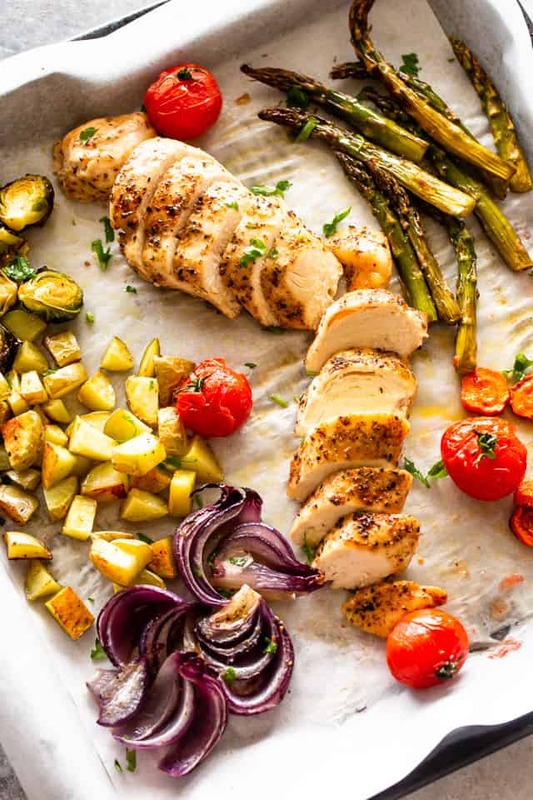 This sheet pan dinner is such an easy chicken breast recipe! Juicy & delicious chicken breasts baked to perfection with vegetables & potatoes. Perfect for a simple weeknight meal or a meal prep idea! This recipe is a complete dinner made in just one pan! Roasted potatoes with fork tender veggies and juicy chicken is a seriously scrumptious meal that requires very little work. An easy meal prep idea for your upcoming week. Sheet Pan dinners have been all the rage for quite some time now and with good reason; easy prep, easy cleanup! One pan and dinner is DONE. I think it’s safe to say that this is the best dinner option for busy weeknights. For example, consider this One Pan Lemon Garlic Butter Chicken Thighs and Asparagus! Or, our One Pan Roasted Chicken and Potatoes Recipe, and this Sheet Pan Chicken Stir Fry Recipe. I will also say that sheet pan dinners are THE answer to meal prepping. Store any leftovers into airtight containers and you have lunch for the next few days. Cooking homemade meals every night while juggling a busy schedule can feel almost impossible. 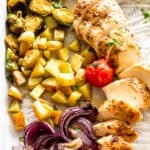 For that reason, I rely on recipes that can be prepared ahead of time, or recipes that are like this Sheet Pan Garlic Herb Chicken with Potatoes and Veggies – because our entire dinner is cooked on just a single sheet pan. Now, go grab some chicken and vegetables, and prepare this healthy, family-friendly meal tonight. 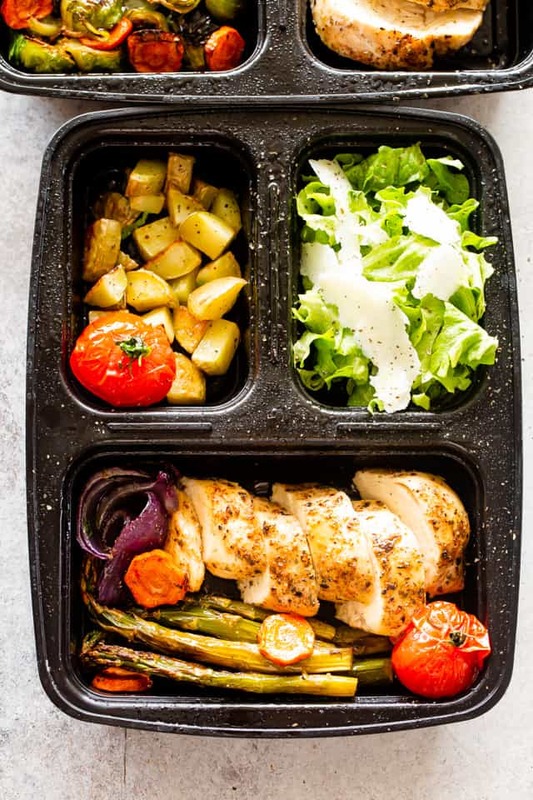 Easy to assemble and a snap to clean up, this all-in-one sheet pan Garlic Herb Chicken will become your new favorite meal. First and foremost, please, please dice the potatoes and carrots. Asparagus and Brussels sprouts cook faster so you can keep the cuts thicker for those. But, potatoes and carrots take more time so you want to dice those. Next, toss veggies with olive oil, garlic and seasonings. Then, arrange the veggies on a sheet pan. Rub chicken with olive oil and garlic; season with thyme and rosemary. Put chicken on top of a large piece of parchment paper; place pats of butter over each chicken breast and wrap up tightly with the parchment paper. Position chicken in the middle of the sheet pan. Bake for 30 minutes, or until chicken is fully cooked. Use a thermometer – chicken is done when internal temperature reaches 165F. Optionally, 10 minutes before it’s done cooking, you can also add cherry tomatoes to the sheet pan. 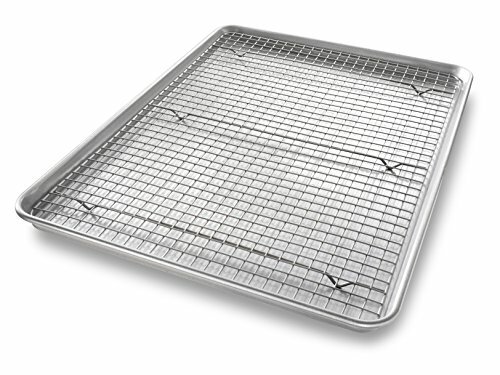 Remove sheet pan from oven; let stand 5 minutes. 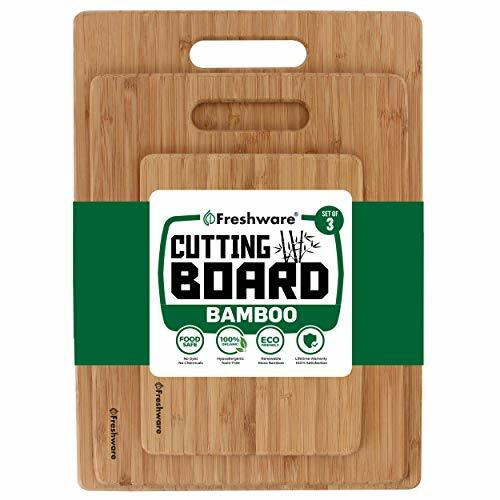 If meal prepping: Unwrap chicken and transfer it to a cutting board; slice it or dice it into bite sized cubes. 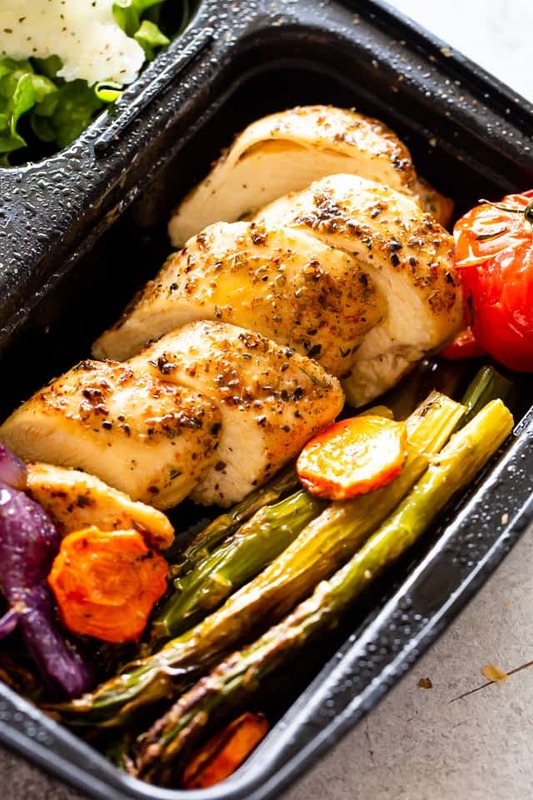 Divide chicken and veggies evenly into meal prep containers. Cover and store in the fridge for 5 days, or freeze for up to 2 months. If you are out of potatoes and want to use sweet potatoes, please go ahead, just make sure to dice them up small. Also, you don’t have to use asparagus and Brussels sprouts. You can go ahead with broccoli or green beans, or whatever else is hiding in that vegetable tray. 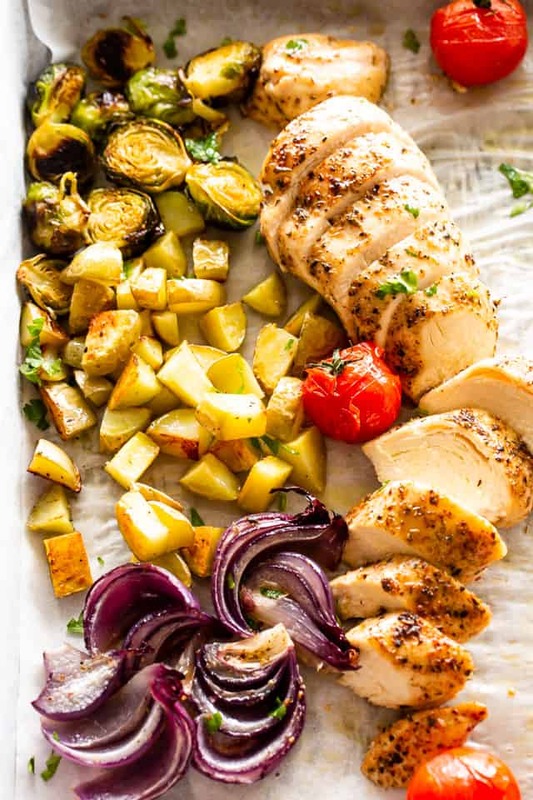 Juicy and delicious chicken breasts baked to a tender perfection with vegetables and potatoes, all cooked together on just one sheet pan. 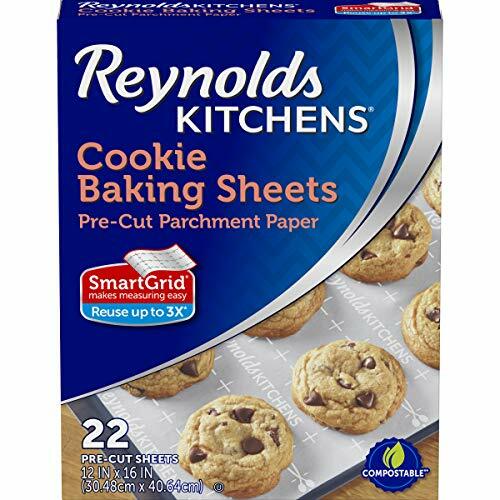 Line a large sheet pan with parchment paper or foil; set aside. 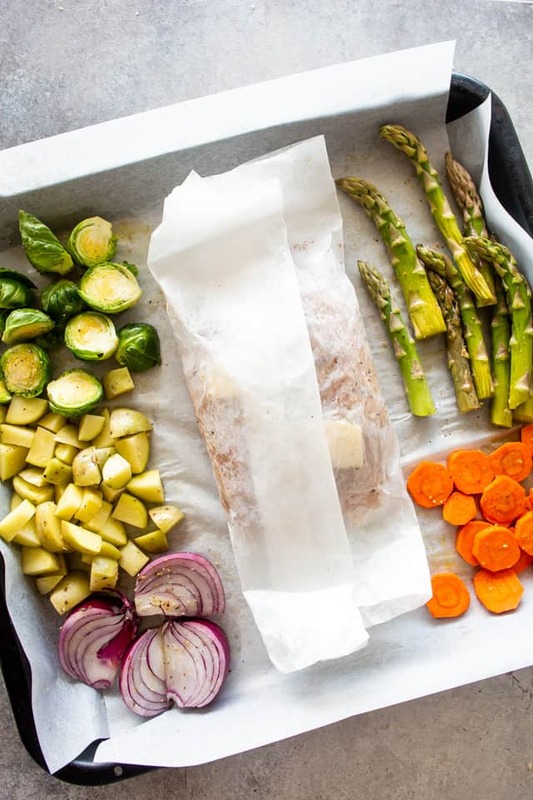 Cut up the potatoes, Brussel sprouts, asparagus, carrots, and red onion, and place each in a separate corner of the prepared sheet pan. DO NOT use the cherry tomatoes, yet. Drizzle olive oil over the veggies. Season veggies with garlic powder, 1/2 teaspoon dried rosemary, 1/2 teaspoon dried thyme, salt, and pepper. Place 2 chicken breasts over a large piece of parchment paper. Rub both sides of the chicken with a bit of olive oil, and season with salt, pepper, 1/2 teaspoon rosemary, 1/2 teaspoon thyme, and half of the minced garlic. Place a pat of butter on top of each chicken breast and tightly seal the parchment paper around the chicken breasts. Repeat the same process with the remaining 2 chicken breasts. Place wrapped chicken on the center of the baking pan. Bake for 30 minutes, or until chicken is cooked through. Chicken is done when internal temperature reaches 165F. Unwrap the chicken and serve. Store covered in an airtight container and keep in the fridge for 5 days, or freeze for up to 2 months. This dinner just make me happy! I love it! The perfect healthy and delicious weeknight meal! Yum! That IS a quick and easy dinner! love that it doesn’t dirty up a lot of pots and pans. Plus, it looks really tasty!